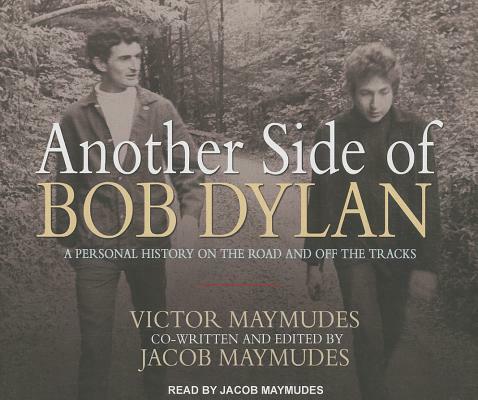 During the years they spent together, few people outside of Bob Dylan's immediate family were closer than Victor Maymudes, who was Dylan's tour manager, personal friend, and traveling companion from the 1960s through the late 1990s. Another Side of Bob Dylan recounts landmark events during that time, including Dylan's infamous motorcycle crash; his meeting the Beatles on their first U.S. tour; his marriage to Sara Lownds, as well as his romances with Joan Baez and others; and memorable concerts. The book also provides insights on Dylan's songwriting process. On January 26, 2001, after recording more than twenty-four hours of taped memories in preparation for writing this book, Victor Maymudes suffered an aneurysm and died. His son Jacob wrote the book, using the tapes to shape the story. The result is a vivid, first-hand account of Dylan as an artist, friend, and celebrity, as told by an engaging raconteur who cut his own swathe through the turbulent counterculture.